The elephant is one of the enduring symbols of Thailand with the Thai elephant (chang Thai) playing an important role in the history and culture of the country. In 1998 the Thai authorities decide to formally recognize the significance of the animal by designating March 13 as National Thai Elephant Day. On this day, various events take place in zoos and elephant parks throughout the country with some parks treating their elephants to huge banquets of fruit and sugar cane. In some cases, Buddhist ceremonies will be held with the aim of bringing good luck for the elephant and its mahout (handler). 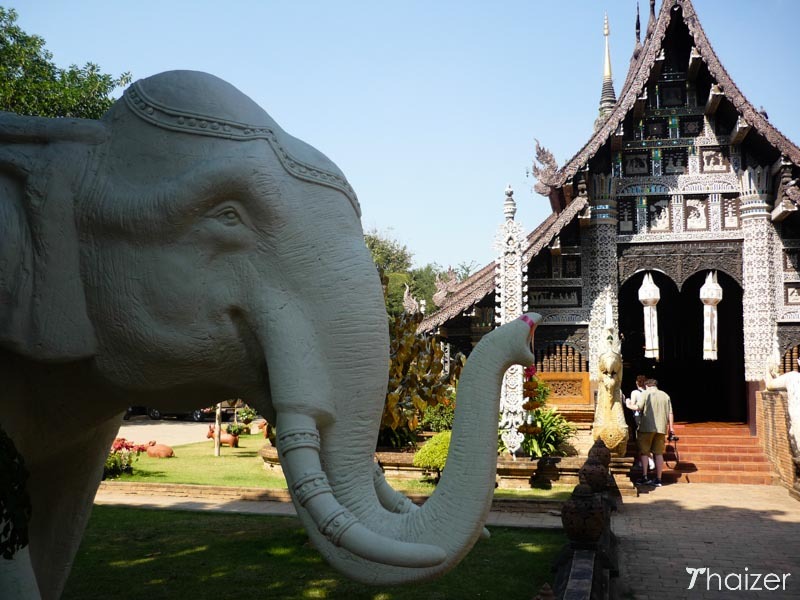 Many Thai temples feature depictions of elephants. In Buddhist legend it is believed that Queen Maya (mother of the Buddha) was only able to conceive after having a dream that a white elephant entered inside her. This is why the white elephant is seen as highly auspicious and enjoys royal status in Thailand. Buddhism in Thailand also incorporates elements of Hindu beliefs and it is common to see shrines to Hindu gods and deities. Ganesh (the Hindu god with an elephant’s head) and Erawan (the elephant mount of Indra) are often depicted in shrines and at temples in Thailand. 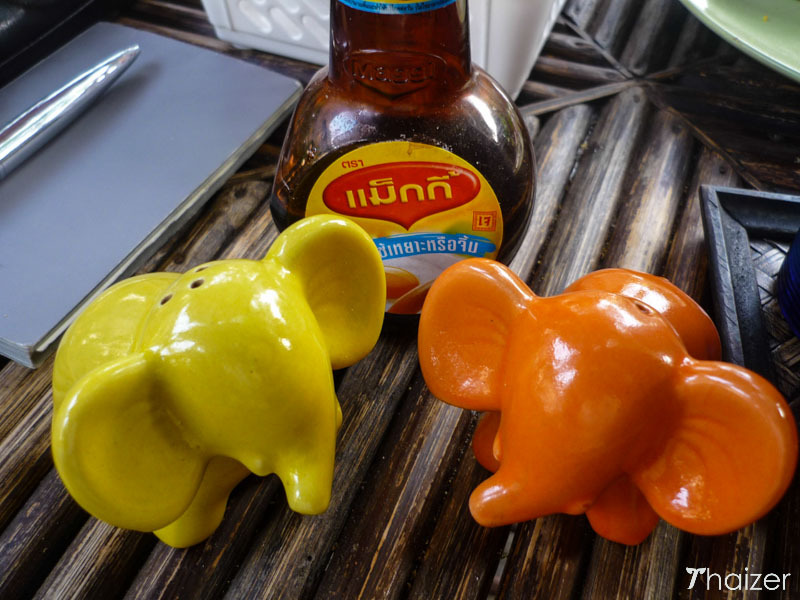 Visitors to Thailand won’t fail to notice depictions of elephants with the creatures appearing on a range of everyday objects ranging from street-lights to souvenirs. 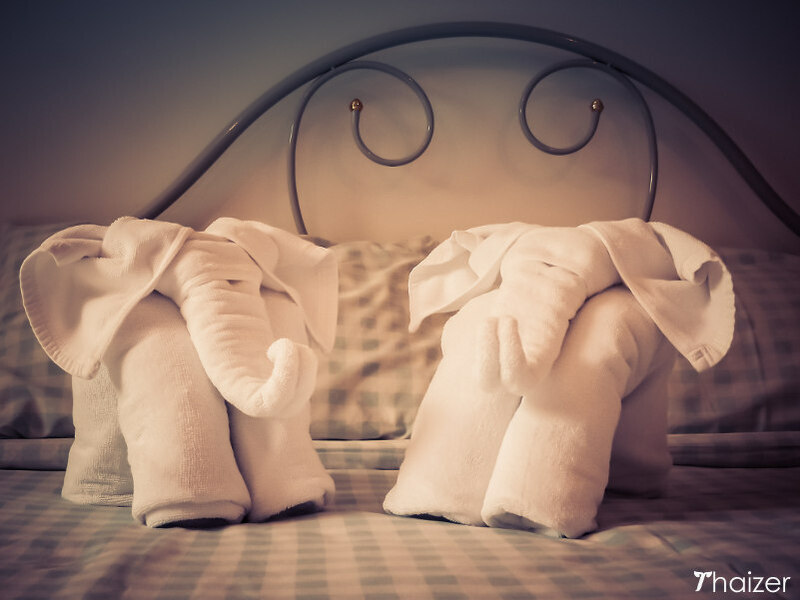 Guests checking into some Thai hotels will be greeted by towel elephants whilst restaurants and coffee shops in Thailand may also feature elephants on plates or cups. The elephant has appeared on the national flag when the country was known as Siam and a white elephant still appears on the ensign of the Royal Thai Navy. 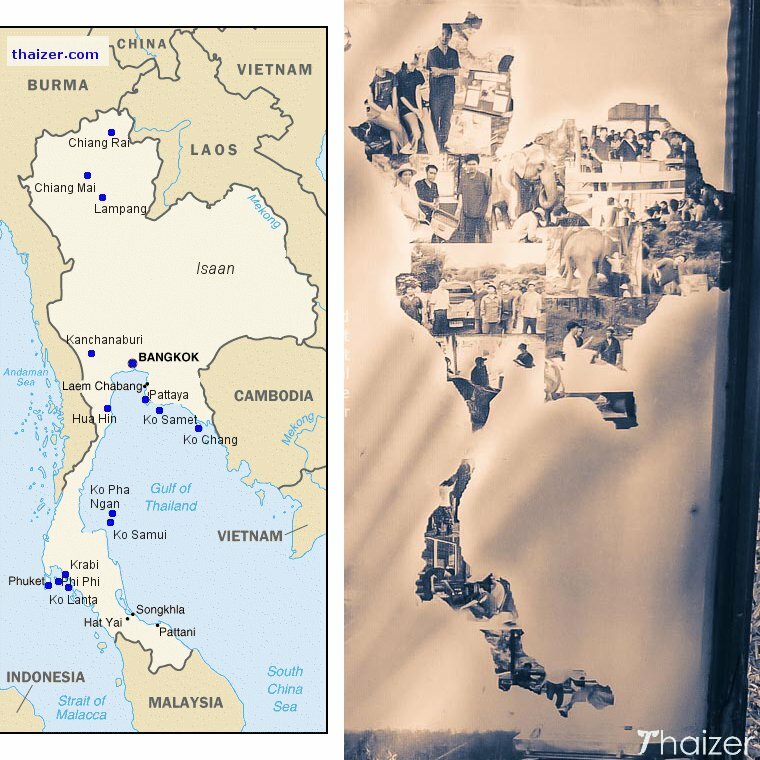 If you look at the outline of a map of Thailand you can see the resemblance to an elephant with the ‘ears’ in the north and north-east and the ‘trunk’ bending down to the south of Bangkok and extending towards Malaysia.